Fitness Equipment Source / Blog / Blog / Sole Fitness Ellipticals Now Have Bluetooth Technology: Is It Any Good? Sole Fitness Ellipticals Now Have Bluetooth Technology: Is It Any Good? We are always on the lookout for technology innovations that will benefit the user and provide a more effective workout. Sole Fitness recently released a major change in their newest models that does just this! We spoke with company representative Wes Hill to learn about how Bluetooth technology improves upon some already pretty awesome machines. “The New Sole Fitness app is designed to monitor and record your workout data with all Sole Fitness equipment, which now includes an integrated Bluetooth 4.0 module that is compatible with most iOS and Android mobile devices,” he says. Basically, this allows your elliptical to track your workout stats and communicate them wirelessly to your smart device. It’s very easy to use too! Download the FREE Sole Fitness app. Pair with your Sole Fitness machine. Just like that, you’re ready to track your workout schedule, design your workout plan, and set your program. All the workout data will be stored in your mobile device. There are some major advantages to this technology. You can watch a movie, listen to music, answer emails all while the working out and the Sole Fitness App will continue to record your data at the same time. The Sole App also works with other fitness apps like Fitbit, iHealth, RECORD, MapMyFitness, MyFitnessPal and other open source training apps so you can continue using the fitness apps that you are familiar with and keep all your workout history in one safe place. 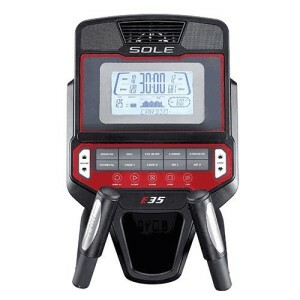 We’ve always been impressed with the quality of Sole Fitness machine. Team member Fred Waters said, “I’ve been impressed with every Sole elliptical I’ve been on since they hit the market!” Their machines are extremely durable and they offer industry-leading warranties. The 2016 line-up sets the bar higher with the integrated Bluetooth technology. Other companies have workout tracking features. For comparison, you will find the Icon Products (makers of NordicTrack and ProForm) have iFit technology, which can do a lot, but at a price. A paid subscription is required. Horizon and Vision machines have an excellent platform called ViaFit that is compatible with other workout tracking apps. ViaFit is also free and compares well to the Sole technology. Yowza’s MyLiveLight also uses a free app along with a smart scale, but the platform is not quite as user-friendly. Read more about various workout tracking technology on our sister site. Besides adding the Bluetooth technology, the 2016 models from Sole Fitness have an updated console and white back-lit LCD display. This is an improvement over the old blue screens and much easier on the eyes. 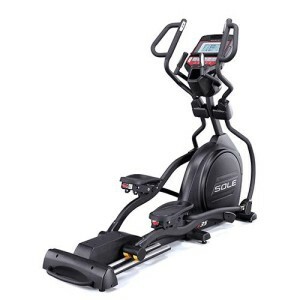 If you’d like to check out some of the newest models from Sole Fitness, start with our best buy choice, the Sole E35 Elliptical.